Why the Riemann hypothesis is hard and some other observations. Michael Atiyah, as we previously posted, claims to have a proof that the Riemann Hypothesis (RH) is true. In the second half of a 9:00–10:30am session (3:00–4:30am Eastern time), he will unveil his claim. Today we discuss what the RH is and why it is hard. Of course we hope that it was hard and now is easy. If Atiyah is correct, and we at GLL hope that he is, then the RH becomes an “easy” problem. The claim is that for in the critical strip and then the analyticity of at yields the contradiction of vanishing everywhere. We will defer further comment at this time but there are opinions in the above. Leonhard Euler analyzed this function for a positive integer and proved that . Further values quickly followed for positive even numbers but the nature of remained open until Roger Apéry proved it irrational in 1978. All other zeroes of have real part , that is, for some . For intuition, consider how converges for and picture the product of all these series over for each prime . Every finite term in the product gives the prime factorization of a unique and the exponent merely carries through. In this and other ways, the zeroes of govern regularities of the distribution of the primes. One rogue zero off the line causes enough ripples to disturb the bound. But the ripples are not tsunamis and the tight RH bound is demanding a lot: an bound is equivalent both to the Prime Number Theorem (PNT) and to no zero wandering over as far as the line for real part . Even wider ramifications emerge from this essay by Alain Connes. Connes like Atiyah is a Fields Medalist (1982) and among his later work is an extension of the famous index theorem proved by Atiyah with Isadore Singer. Connes’s essay even goes into the wild topic of structures that behave like “fields of characteristic “—but maybe not so wild, since Boolean algebra where is a simple and familiar example. Now showing that is not zero is quite difficult in general. Even if the summation is finite, showing it does not sum to is in general a tough one. Now showing that is not zero is not so impossible: If the product was a finite one, then you need only show that each term is not zero. If the product is an infinite product, then its harder. But there is at least hope. As above, the Riemann function is indeed given by a summation as its definition. But it also is given by the product type formula. This formula is the key to proving even weaker than RH bounds on where the Riemann zeroes are located, such as for PNT. This can be made to work. But. One must be quite careful when handling the logarithm over the complex numbers. Put simply, the logarithm function is multi-valued. It is only defined up to a multiple of and so must be handled very carefully. for example. Of course there is no way that this is a mistake an Atiyah can make, but many others have run into this issue. It may help also to discuss a product type formula that is classic. Note that this converges for all values of . This helps one see that the zeroes of the sine function are exactly as you expected: multiples of . If there was a product formula like this for the zeta function the RH would be easy. Of course the known formulas for zeta are only convergent for values that have a real part greater than . Too bad. On the eve of the lecture, we have not found much more information since the news broke early Thursday. There is a more-visual description of RH by Katie Steckles and Paul Taylor, who are attending the Heidelberg Laureate Forum and will be blogging from there. But we have a couple of meta-observations. One is to compare with how Andrew Wiles’s June 1993 announcement of a proof of Fermat’s Last Theorem (FLT) was handled. Wiles was given time for three long lectures on three days of a meeting at Cambridge University under the generic title, “Elliptic Curves and Galois Representations.” He kept his cards in his hand during the first two lectures as he built the tools for his proof; the rumors of where it was going ramped up mainly before the third. We do not know if any of Atiyah’s colleagues at Oxford or elsewhere have read his manuscript. This doesn’t mean anything yet—no one knew about Wiles until the day-of. Wiles used an avenue of attack on FLT that had been opened by Ken Ribet and others in 1986 and that already had opened a fruitful web of connections to other areas of analysis and number theory. He proved a newer conjecture that implies FLT. Atiyah’s proof evidently draws on mathematical physics but we have not seen any harbinger or informed speculation of what channels it may use. Atiyah has just one 45-minute time slot. This may not be enough time. Wiles’s example shows how a small detail can have wide impact. 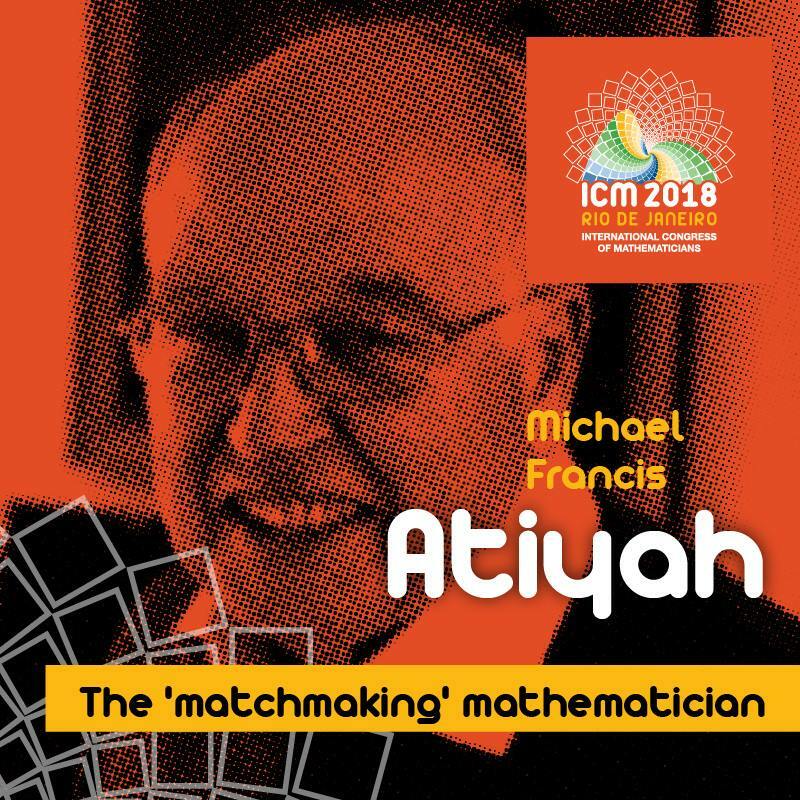 Atiyah gave the Abel Lecture at the International Congress of Mathematicians in Rio de Janeiro just last month. Its title—“The future of mathematical physics: new ideas in old bottles”—may be read as hinting about “new ideas.” However, the talk is almost entirely historical and elementary. We leave it to our audience to read any tea leaves here. The moral of the story is the same as in other versions: there are no brilliant mathematicians Down There. Well we will see soon if the RH is still hard or if it is now easy—or on the road to easy. It is rare to have such excellence in our mathematical endeavors. We hope that the talk is sufficiently clear that we will be able to applaud the brilliance of Atiyah. We wish him well. The story you relate at the end of the piece is a somewhat modified version of the short story “The Devil and Simon Flagg” by Arthur Porges. I first read it in Clifton Fadiman’s collection “Fantasia Mathematica” when I was in high school. During the 70’s it was made into a short film called “The Mathematician and the Devil” by the Soviet director V. Shuplyakova. The film is available on Youtube. Thanks! I would guess likely that Dwork (or whoever) melded in the story. Different tone of the ending, though—the rush and pleading “one more lemma!” is what I (Ken) remember most distinctly. In complex analysis analytic continuation is a method that extends a function—when possible—to more values. This extension is one reason we believe that the RH is hard. The problem that I have with unrestrictedly drawing conclusions about the behaviour of the primes from the behaviour of using analytic continuation is that the relationship of to the primes is well-defined only for . In other words, if some function is defined only for points along the -axis for , then how can we deduce any behaviour of the function for is , where is the speed of light. Obviously. The function is well-defined for values of . However, any such value cannot describe any property of the signal , since does not exist for . In case this seems far-fetched, Sections 4 to 6 here analyse a Zeno-type example, where even the theoretical limiting behaviour of an elastic string, under a specified iterative transformation, is not given by the putative Cauchy limit (which can only be described as a misleading mathematical myth) of the function that seeks to describe the iteration. The significance of this is that Hadamard and de la Vallée Poussin’s proof of the Prime Number Theorem draws conclusions about the behaviour of the prime counting function , as , by the limiting behaviour of along . The problem that I have with unrestrictedly drawing conclusions about the behaviour of the primes from the behaviour of using analytic continuation is that relationship of to the primes is well-defined only for . There is a mistake in the product formula for sin. There shouldn’t be a pi^2 in the denominator on the right hand side. 1) the Riemann Zeta function also admits some explicit and globally convergent series on , see for instance this recent paper of Blagouchine https://arxiv.org/abs/1606.02044 These have perhaps been under-exploited so far and lay lead to a proof, but at least it shows that analytic continuation of the usual definition is not the main point. The “one more lemma” line occurs in the short story The Devil and Simon Flagg, by Arthur Porges, which centers on FLT (Whose last what? asked the Devil weakly), not Riemann. If Atiyah is right, we might have to substitute P=NP in the tale now.